Kerstin Wartberg received her professional musical education at the conservatory (Musikhochschule) of Cologne and graduated there with violin performance and teaching degrees. After her graduation in Germany she went to Japan for two years where she was the first German to study at the Talent Education Institute in Matsumoto, Japan. She graduated in 1981. 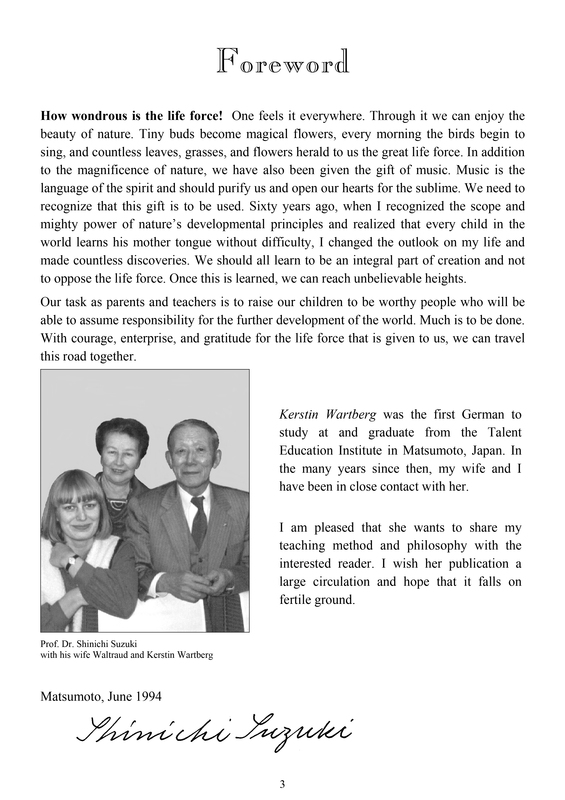 In 1982 she became and still is the director of the teacher training program at the German Suzuki Institute. She regularly organizes workshops, training courses and concerts. In 1987, she was the Director of the 8th Suzuki Method International Conference at the International Congress Center Berlin with about 4000 active participants from more than 32 different countries. Kerstin Wartberg works in Europe as an examiner for Suzuki teacher training examinations. She gets invited regularly to teach and lecture at different universities, conservatories, international conferences, workshops and festivals in Europe, Asia and the United States. She is the author of several teaching books and CDs as well as the Step by Step series of violin exercise books with companion CDs, published by Alfred Publishing and Recital Training, published by Edition Peters. These series based on Dr. Suzuki’s Method were drafted by Kerstin Wartberg at the Talent Education Institute in Matsumoto, Japan, between 1981 and 1986, approved by Dr. Suzuki and tested by numerous Suzuki teachers, their students, and parents. They represent a source of Suzuki’s instrumental concepts as well as specific instructions concerning the individual pieces, both in written and audio form. Many of the publications are available in German, English, French and Spanish. 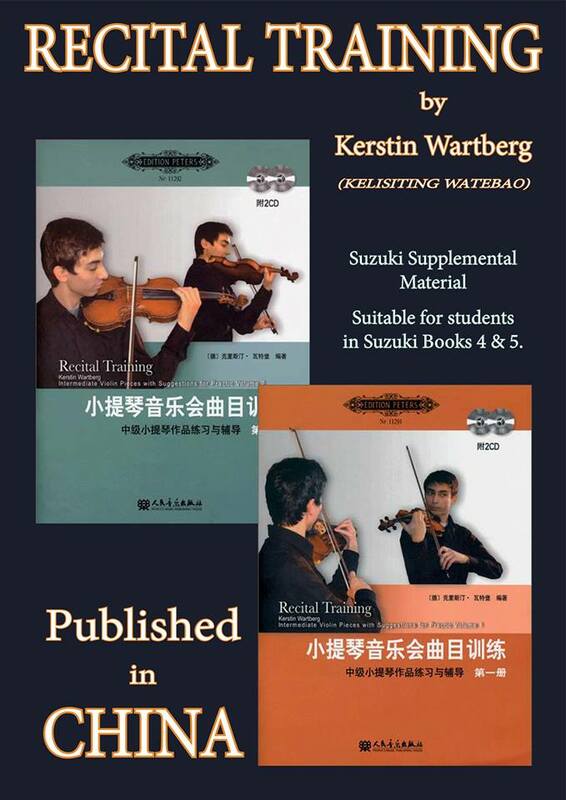 Recital Tarining, volumes 1 and 2 is translated into Chinese as well. This book contains all the pieces from Volumes l and 2 of the Suzuki Violin School, arranged for three violins. They can be played with or without piano accompaniment. Much more sheet music with MP3 files, videos, articles, and eBooks you find in our Online Media Library.